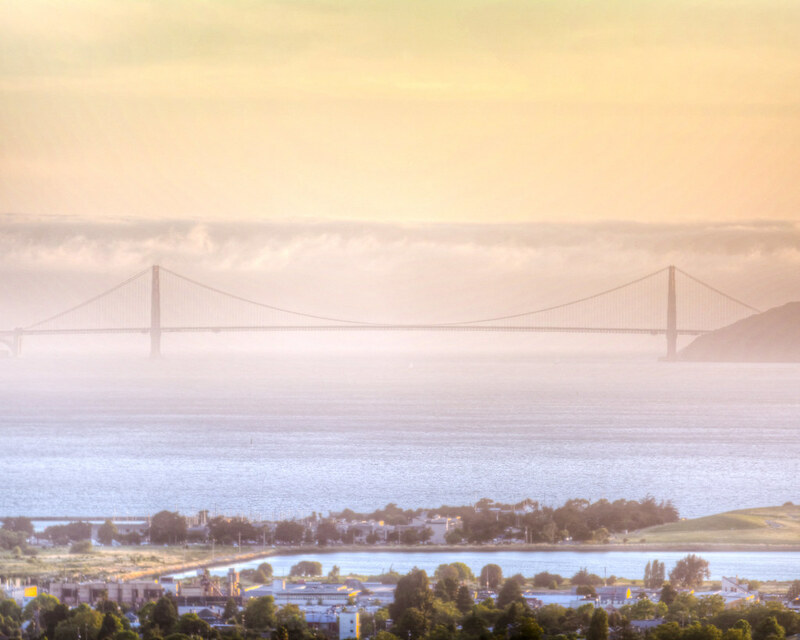 The orange hue and misty hills remind me of the poster for Apocalypse Now, but this is just the northern end of San Francisco Bay. In this age of upward-climbing property values and Silicon Valley rags-to-riches stories, I’m continually amazed that there’s room for industry. If these facilities had to be started today, I can’t imagine that they’d wind up in the same position. Like many East Coasters, I hadn’t heard of the marine layer until my first visit to the West Coast. The odd, damped mornings in coastal cities seem so at odds with the view of California in popular culture. 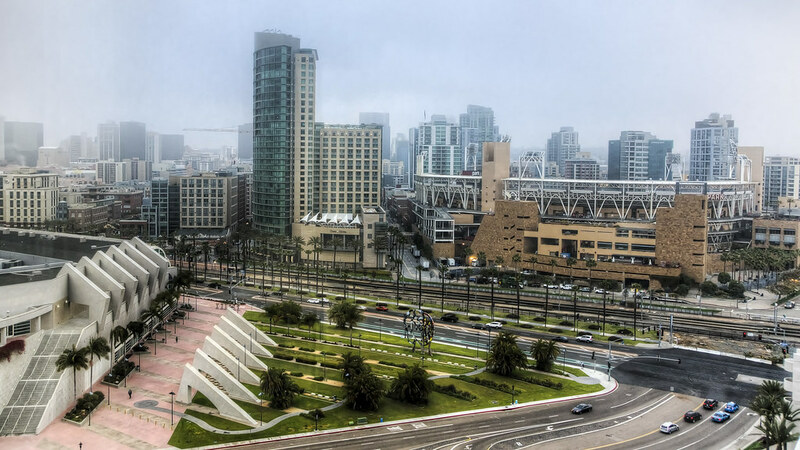 Even sunny San Diego is matte and dull under a blanket of morning clouds. On the way back from the Outer Banks, a perfect storm of conditions led to this amazing mist over a Watauga Lake. 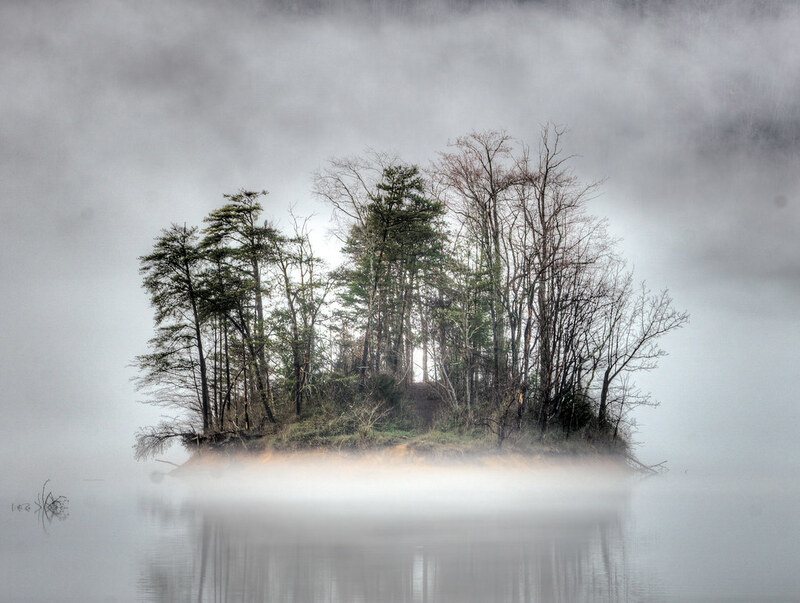 As the mist lifted this small island came into view like some kind of mini magical realm (or the setting for some kind of horror film). 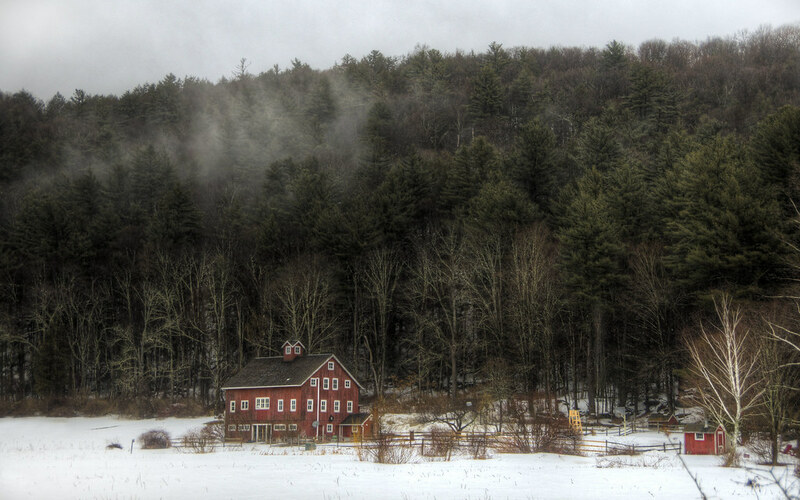 In this particular corner of Connecticut in early spring, the rain and snow combined to make the perfect storybook fog. This image is so quaint and charming, I could swear I’d seen it somewhere before. But this brings me to another idea: those particular locations in landscape photography so scenic that they are literally ubiquitous. Take the tunnel view in Yosemite, or shots of the Golden Gate Bridge from the Marin Headlands, or downtown Manhattan as seen from the top of Rockafeller Center as examples: is it even possible to make an original composition from such a photographically saturated place? But these places are also photographically saturated for a reason: they’re really, really pretty. Where does that trade-off between originality and beauty fall? 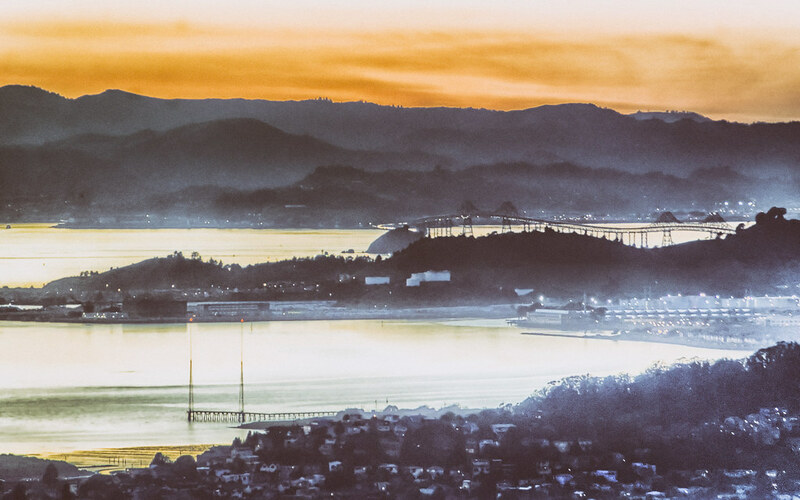 Berkeley is a pretty surreal place; as I process that, I thought my 400th post on Decaseconds might be a great time to really show it. 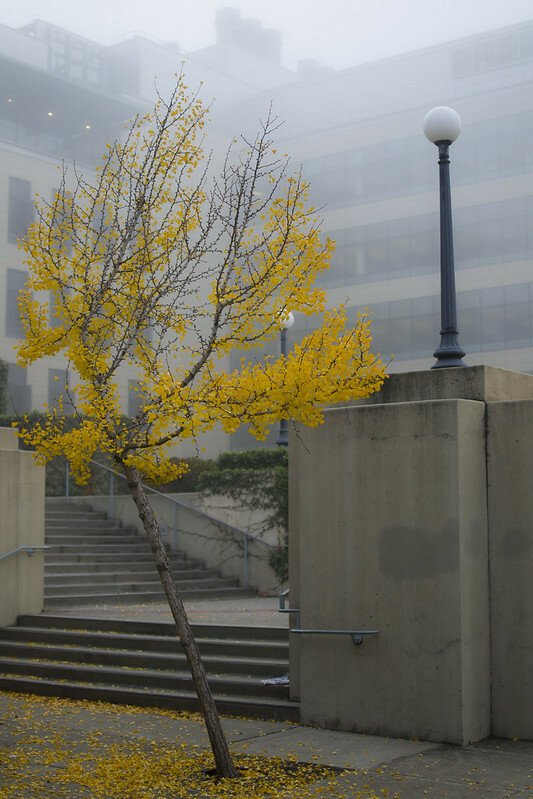 The yellows of the birch tree are so sharp on a foggy fall morning, amid the hard, stained concrete of the past and the high-tech Li Ka Shing Building (one of my first-ever posts) materials. 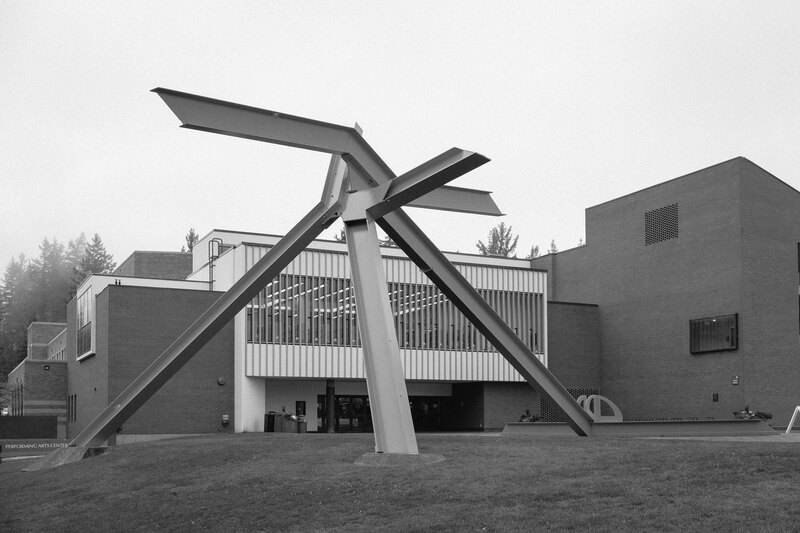 Visual contrast, both literal and metaphorical, align with the conceptual contrast of a place that prides itself on being countercultural while also being the birthplace of many of the technologies and ideas that make our modern culture possible.